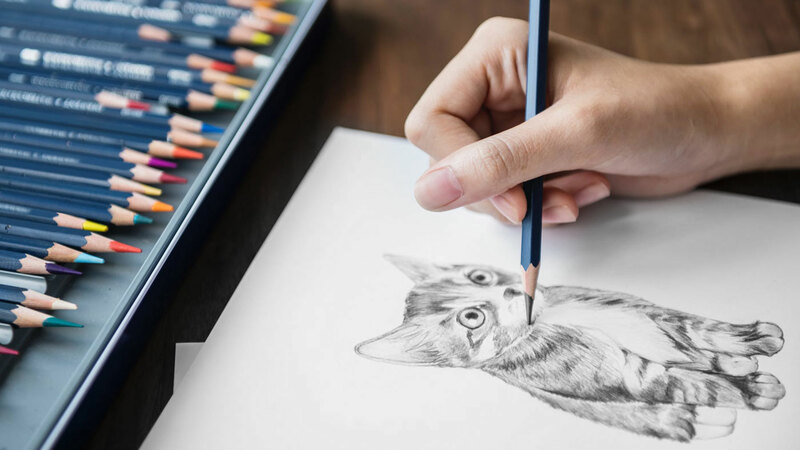 Around 78 million dogs and 85.8 million cats are owned in the United States, and that means that many homes will have more than one four-pawed friend to commemorate through a personalized drawing. Photographs may be easier to take, but there is something incredibly meaningful about a work created by someone who really loves your dog. 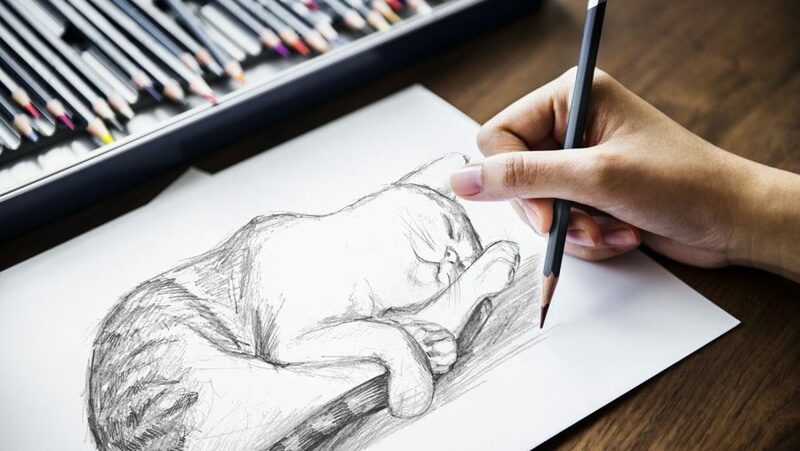 If you have started drawing Fido or Felix but have given up because you feel you haven’t quite managed to capture their essence, take note of the following tips and remember that, as is the case with all artistic pursuits, practice definitely makes perfect! Before getting into the specific proportions and features of your pet, you need to hone basic pet drawing techniques that take into account aspects such as body and limb length, ear length and width, distance of the eyes from each other and from the top, bottom, and sides of the face, etc. In addition to using simple beginners’ guides for drawing animals, you should also consider purchasing a moveable pet mannequin. This will enable you to study perspective and light/shadow when an animal is in motion or in a range of different postures. Getting proportions right can be aided by studying the skeleton of the breed or pet type you are drawing. For instance, if your dog is a German Shepherd, you will notice that its hips are much lower in height than its shoulders, while a pug will be much ‘straighter’ from shoulders to rear (though the distance between these two body parts will be far shorter). You will particularly need to do this with the facial area. 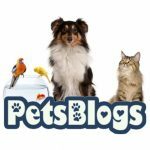 You have got basic proportions down, but how far from a basic model do your pet’s features veer? For instance, brachycephalic dogs and cats will have much more prominent eyes and a flatter muzzle than other breeds. Their eyes will also usually be quite wide apart from each other. Other pets (think a pitbull) will have smaller eyes in comparison to their striking jawlines, and a much longer muzzle. List down the things in your pet that make them quirky, different, or just ‘them’ and include these features in your drawing. Whether it is a cute paintbrush tail, frazzled whiskers or wild and woolly fur, these features are crucial factors for making your drawing more identifiable. The relative distance of your pet’s features (especially in the face) need to be studied with a magnifying lens. Take a good portrait shot of your pet with a camera boasting a zoom lens. Study the face well. How close is the mouth to the nose? How low do the ears drop? How much distance is left between your dog’s eyelid and the top of his head? How long are the ears compared to the entire face? Capturing your pet’s authentic ‘personality’ depends on acing the distance and relative size of features. One thing that can help is drawing a very light line along the middle of the face and dividing the face into sections. These can help ensure symmetry and correct size. Shading adds depth and richness to a drawing. 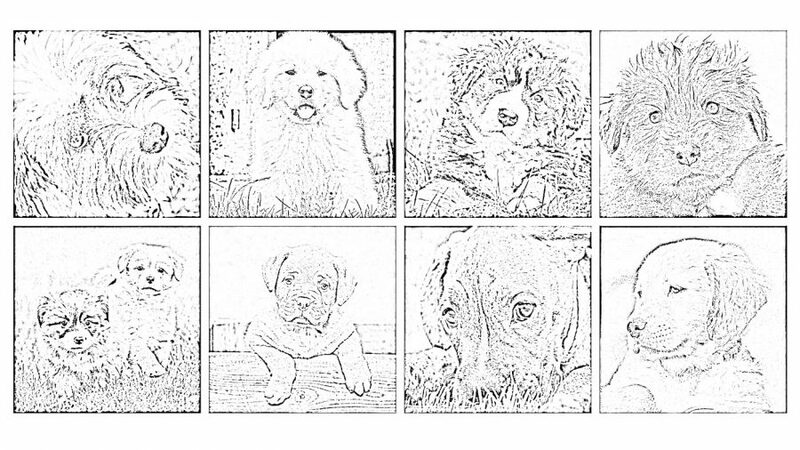 Use various pencils, both hard and soft, lighter and darker, to shade areas like the eyes, ears, and paws. If you’re working from a photograph, take a black and white one to help you identify which areas need heavier shading. 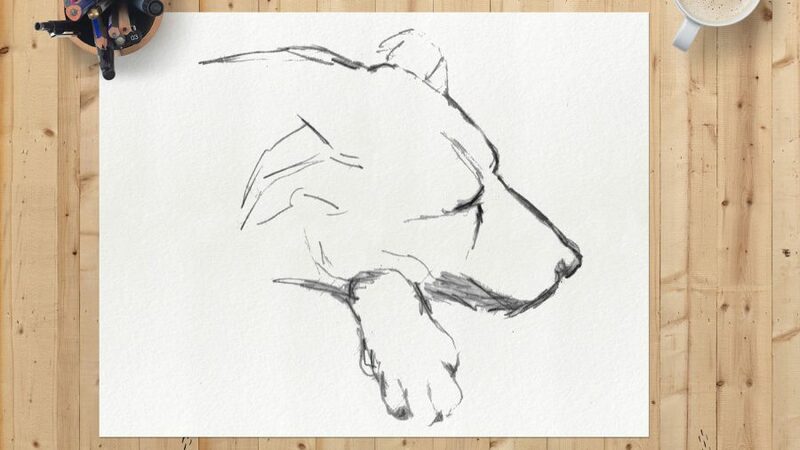 If you’re keen on creating an artwork inspired on your pet, start by learning how to draw basic animal shapes. 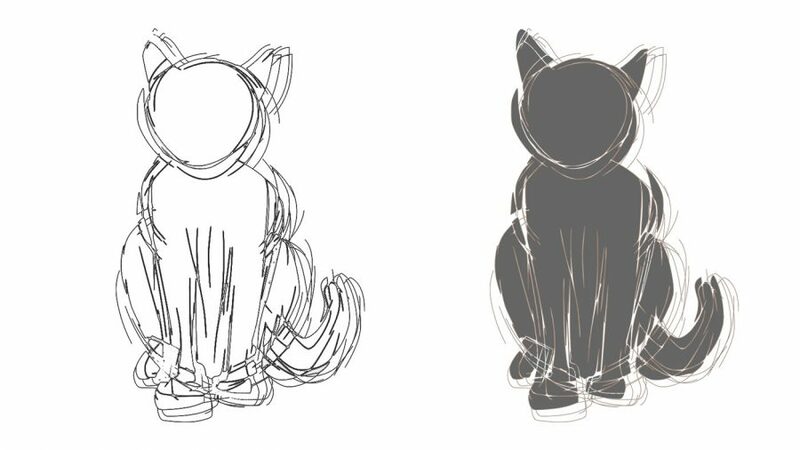 Make your process a bit more detailed as time goes by, by looking at pet skeletons and by using models to see how to create perspective when your pet is in different positions. Finally, take great photographs that will enable you to draw your pet’s face in the detail you need to truly give life to your pet on paper.